Crown Relocations has the resources, expertise, experience and nationwide network to move you and your household items to any location in New Zealand efficiently and safely. As well as being a multi-national moving company with a presence in over 54 countries worldwide, we also have a comprehensive network of offices and operations hubs providing maximum domestic coverage here in New Zealand. Moving to Auckland – The vibrant, cosmopolitan atmosphere plays host to a wide range of attractions from beaches, music, major sports events, two stunning harbours and cultural festivals to state of the art business centres and booming local economy. Moving to Christchurch – the largest city in the South Island of New Zealand. It takes its nickname from the green personality of this city with its many beautiful parks, gardens and tree-lined streets. Moving to Wellington – Wellington’s creative vibe and energetic atmosphere sets it apart from all other cities in New Zealand. “The world’s coolest little capital city,” as described by Lonely Planet, reportedly has more cafes, bars and restaurants per capita than New York! Many people refer to Wellington as being New Zealand’s mini-Melbourne due to its strong creative arts community and thriving foodie scene. Moving to Dunedin – Dunedin is situated in the south of the South Island and is known for its colourful student population. Dunedin is the Gaelic name for Edinburgh and is famous for its strong links with Scotland. Dunedin is widely known for its scenery and spectacular coastline in particular and is an easy-going, friendly and cosmopolitan city. Moving to Hamilton – One of New Zealand’s greenest cities, Hamilton lies nestled in the heart of a rich farming region. It also has a forgiving climate, beautiful scenery, gorgeous rivers and lakes, a clean green environment and well regarded educational facilities. Furthermore, Hamilton’s business community is very prosperous and growing fast. 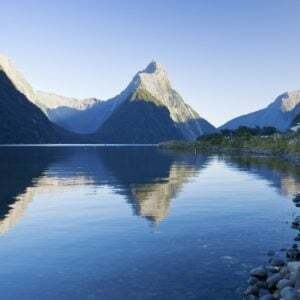 Moving to Tauranga – The business centre of the Bay of Plenty is also an area widely recognised as one of the most popular holiday centres of New Zealand. The region’s temperate climate, high sunshine hours and safe white sand beaches are a drawcard for holidaymakers year-round. The beachside town of Mount Maunganui sits in the centre of Tauranga and along with the harbour, dominates the natural landscape. “The Mount” itself is an unmissable 232 metre high extinct volcano and a popular walking track attraction that overlooks the beach, harbour and ocean. Moving to Nelson – Nelson is a great place to live and boasts arguably the best climate in the country. Flowing through the urban areas, there is an extensive network of parks, walkways and cycle-ways for recreation and the region also borders three spectacular national parks. Outdoor pursuits are the name of the game in the Nelson/Marlborough region with hiking, mountain biking, kayaking, diving, fishing and swimming all highly popular activities. Moving to Palmerston North – Palmerston North is a vibrant youthful city and is known as ‘The Knowledge City’ as it features several tertiary educational organisations, the largest being Massey University. It also hosts a number of annual national and international shows, and events, and a rugby museum. Moving to Hawke’s Bay – A Mediterranean-like climate gives rise to the region’s reputation for being the ‘food bowl’ of New Zealand. You will find no shortage of farmers’ markets, specialty food shops, world renowned wine growing and fantastic restaurants whose menus draw on the region’s prolific local produce. Moving to Whangarei – The northernmost sub-tropical city of New Zealand, Whangarei is excellent for a holiday-feel, laid-back lifestyle to enjoy all year round. The city is rich in history and offers lots of natural attractions. Climb up the old volcanic Mt Parihaka, you’ll enjoy a panoramic views of the city and harbour. The Hatea River within the Parihaka Reserve boasts a spectacular 26m waterfall. Moving to Queenstown – Dubbed the most beautiful city in New Zealand! With spectacular mountains like The Remarkables and Ben Lomond, the city enclosing the beautiful crystal Lake Whakatipu, no wonder Queenstown is a popular holiday destination amongst the Kiwis and overseas tourists alike. The city is vibrant all year round with visitors flocking in to partake in the sports or sightseeing tours to marvel at the magnificent beauty that Queenstown has to offer. Moving to Invercargill – A city sitting in expansive fertile farmlands of the most southern region in the country is Invercargill. It is also known as the ‘City of Water and Light’, referring to the long summer twilight and the Aurora Australis (Southern Lights). The ‘water’ was referenced from humorists suggestion of the notorious horizontal driving rain in high wind at the corner of two main streets; Dee & Tay Streets. Invercargill has a growing tourism market amongst the game, adventure & motor sports seekers.